We provide service that is enjoyable as well as dependable, just like your Volkswagen. The Stone Mountain Volkswagen Service Center staff will always ensure that both you and your vehicle are well taken care of. We only have courteous professionals on staff and they will go out of their way to make sure your service is quick and convenient. 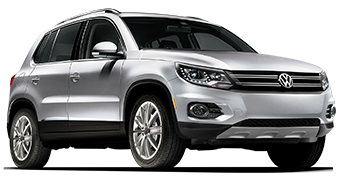 Combined with our state-of-the-art facility, you know you will get the security of the Volkswagen promise as well as the neighborhood benefits of a local car repair shop. Here at Stone Mountain Volkswagen during the service time, we can provide you with a replacement vehicle that is comparable to your own. This allows you to do some errands while you wait and no waste any time. We also have a shuttle that will pick you up and drop you off within 15 miles of our facility. We can also send you a text when we’re done, or if we find any problems you need to be aware of. When the time comes, skip the service line and pay from your smartphone, tablet or laptop! Send us your cell number for live updates on your vehicle. As work on your vehicle progresses, we’ll send you updates to keep track on the progress of your vehicle. Once your vehicle is ready you pay online and avoid any unnecessary wait.